Following its name change from Hitachi Power Tools to MetaboHPT, a new line of 36V cordless tools has been released to separate itself from the Hitachi portfolio. One of the tools is a new MultiVolt drill. The 36v MultiVolt platform allows for cordless and corded power. 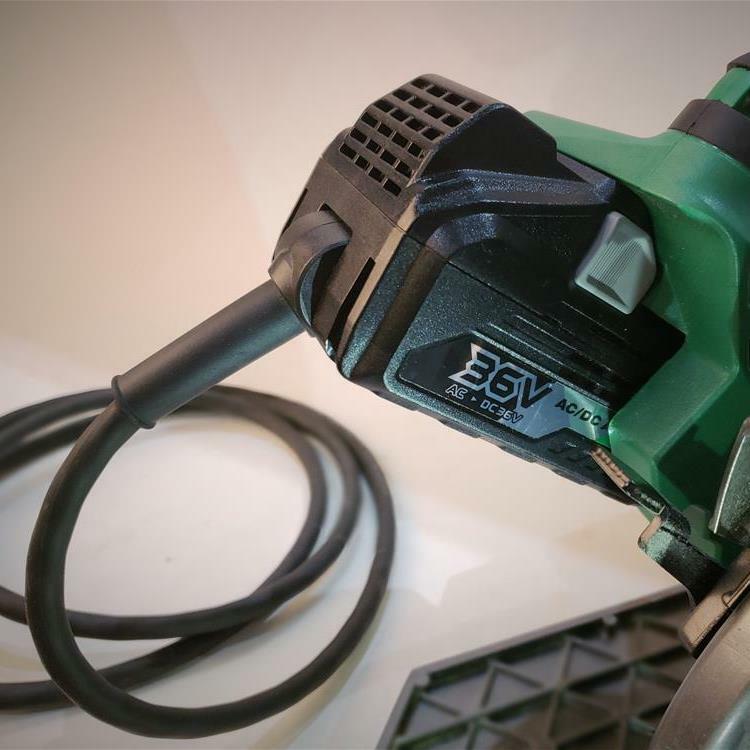 This versatility should produce some interesting innovations, as the demand for better, more powerful, and longer lasting cordless tools grows. What Is MultiVolt And Why Is It Interesting? The point of this review is really to talk about our experience with the drill but we’d be remiss if we didn’t cover MultiVolt first. As we mentioned above the MultiVolt platform is both a battery and a corded adapter. Tools on this platform run on 36 volts and can use either the battery or corded adapter and run with the same performance. That isn’t the whole story though, the battery runs at 36V but can also run at 18V and is fully compatible with their 18V tools. The one drawback of this system is that the corded adapter only puts out 36 volts so it isn’t compatible with 18V tools. What’s the point of having a cord and a battery for the same tool? That is, until they need it. 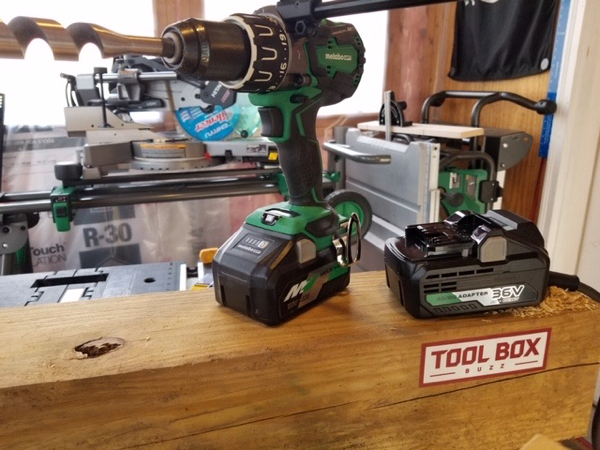 Having the ability to plug in gives users options, additionally they may want to plug in a high demand tool and save their batteries for smaller tools like impact drivers and drills. Included in the MultiVolt Line up is the MetaboHPT 36V MultiVolt 1/2-in Hammer Drill, model DV36DAQ4. The drill itself boasts a no-load speed of 2,100 RPM, an impact rate of 35,000 BPM, and maximum torque that tops out at 1,220 in-lbs. The chuck is all metal, single sleeve, and keyless with carbide inserts. A bright LED, activated when trigger is squeezed, and angled towards drill tip worked nicely. Lastly the 22+2 clutch, and variable speed trigger allow for tool control. 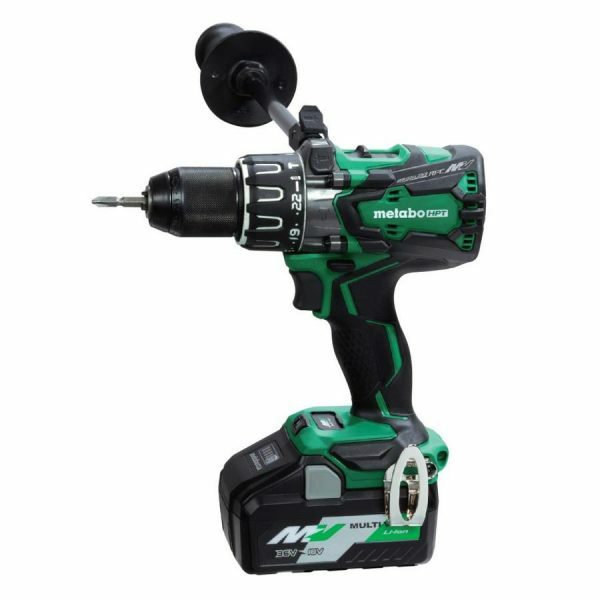 The Metabo HPT 36V MultiVolt 1/2-in Hammer Drill is an exciting entry to the market; It has great ergonomic features, with an ambidextrous and easy to change side handle. The tool is fairly lightweight, topping out at 6.6 lbs. with the battery. The 22+2 clutch is easy to manipulate and adjust to the desired torque and impact settings. The variable speed trigger is intuitive and responsive to the users pull and delivers power nearly instantaneously. The drill has all the versatility one would need with its clutch and hammer drill functionality. But what makes this drill a far cry from the rest is the ability to be used cordless or corded without losing power. The ability of the drill to go from cordless to corded using the slide type AC converter is particularly useful given that occasionally, not everyone will remember to charge their batteries before the job, chargers might be forgotten, or waiting for batteries to recharge. While the drill is overall very good, there are a few drawbacks with the tool and corded adapter. The cord for the AC inverter is 20 ft long, but has a large non-waterproof converter box placed awkwardly in the middle of the cord run. It also only outputs 36V. Although the chuck is all metal and feels solid, they keyless feature doesn’t seem to secure the bits one 100% of the time. After making several holes with 1 inch Ship-Auger bits, the chuck sometimes would have to be retightened. At $359 the for the bare tool version, $399 with hard-case, two batteries, and charger (found at Lowes) most users might not be inclined to purchase the drill. 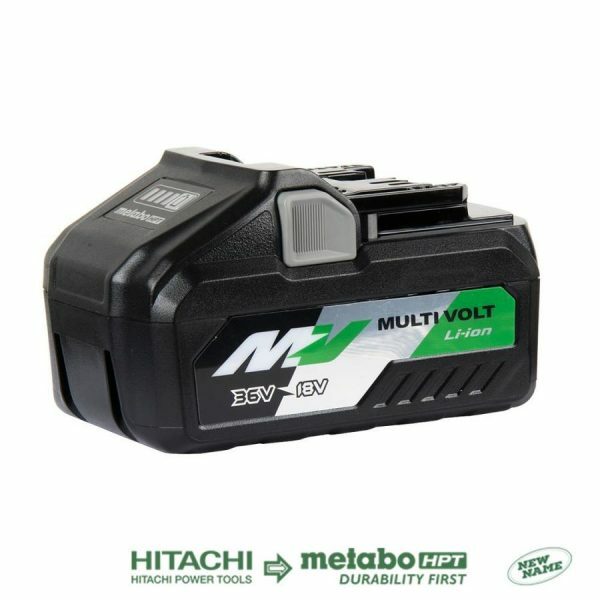 Through Metabo HPT offers a lifetime warrantee on their tool’s and a 2-year on their MultiVolt batteries they’ll likely need more brand recognition before people can justify those kinds of price points despite the quality of the tool.